Growing up in Edmonton, Alberta, it would always snow on Halloween. My mother would insist our costumes fit over a snowsuit, looking natural with gloves and a toque. Try as I would to make it work, I usually just ended up looking like a masked Michelin Man crusading for candy. From that point on, for six to eight months every year, deep snow and biting temperatures reigned over my life. In elementary school, I spent weeks constructing snow forts, building frozen battlements in preparation for the protracted snowball fights that, at times, could stretch for months of lunch breaks, recesses and after-school conflicts. On weekends, I remember learning to skate at the outdoor hockey rink a few blocks from my house, then, later in life, joining the weekly “big kid” game of shinny held every Saturday without fail. I remember the neighbourhood toboggan hill, a stone’s throw from that rink, where I felt my first real pangs of jealousy after trying a friend’s GT Snowracer and staring at the wrinkled, decade-old, crazy carpet in my mitted hands. 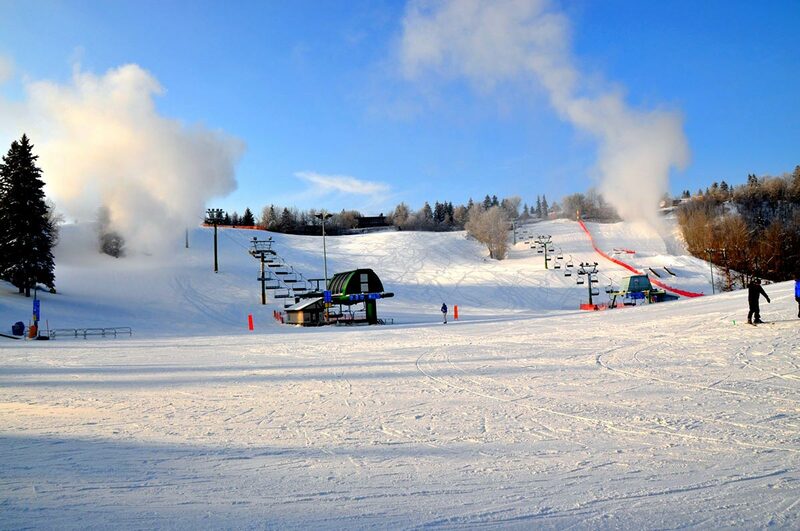 As I got older, I spent less time at the rink and the toboggan hill and more at the Snow Valley Ski Club, a barely-there divot in the Edmonton River Valley with a rope tow, T-bar and a chairlift. It was, and still is, the kind of ski hill where the getting up the lift takes 10 minutes and getting down takes less than one. That tiny, snowy nub was where I learned to ski and, later, to snowboard. It’s where I got my first real job, had my second kiss and first got dumped for a more attractive friend. As I got older, Snow Valley’s opening date fluctuated erratically. Snow would be patchy, with only parts of hill opening before December. The same was true in the nearby mountains. Winter at Marmot Basin, the first real mountain I ever skied or snowboarded on, soon grew inconsistent. In my early adult years, when I had moved away from Edmonton for school, I came home one Christmas to find Edmonton, Canada’s northernmost major city, without any snow. Rather than the sea of white prairies I remembered as a child, the whole city was a dull brown. Driving past Snow Valley that winter, there was little more than a strip of snow down one of the hill’s three main runs—all they had managed to open that year. The same thing happened where I now live. In the winter of 2014–15, British Columbia’s Coast Mountains had one of the warmest, driest winters on record. Mount Seymour, a resort on Vancouver’s North Shore that’s been welcoming skiers since 1938, had its worst season on record, fully open for just 12 days. Other nearby mountains eked out better seasons with artificial snowmaking and higher elevation runs, but the season was nonetheless a wake-up call across the region. 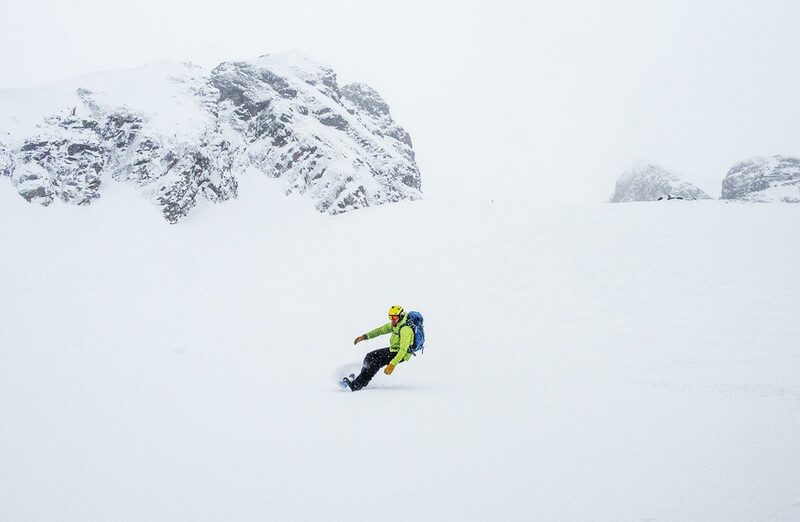 Protect Our Winters, a climate-change advocacy organization founded by pro snowboarder Jeremy Jones, partnered with the Natural Resources Defence Council in 2012 to publish a report on the impacts of climate change on skiing and snowboarding in the United States. The report, “Climate Impacts on the Winter Tourism Economy in the United States,” exhaustively details how climate change is already having an impact. In the Cascade and Coast Mountains that stretch through BC and Washington State, the report projects snowpack “to decrease between 40 percent and 70 percent by 2050.” In the Rocky Mountains, mean snow depth “is expected to drop to zero” if climate change continues unabated. And in the Northeastern United States, mountain ranges like the Catskills and the White Mountains of Vermont could see the number of skiable days cut in half. According to the report, by 2100, only four in every 14 ski areas in that part of the world will remain profitable. While we don’t have a report like this for Canada, trends point in a similar direction. According to Environment Canada, the average annual temperature across the country has warmed by 1.6 degrees Celsius since 1948. In the winter, that number tends to be even higher, with average winter temperatures in the northwestern part of the country a full three degrees warmer than they were in 1948. Of course, winter’s disappearance isn’t limited to North America. In the Alps, a report published this past spring estimated that snowfall would decrease 70 percent by the end of the century. In this new scenario, the snow line could be a full kilometre higher than it is today. And in Norway—where skiing is so culturally ingrained that Norwegians say they are “born with skis on their feet”—the government is investing in technology to produce artificial snow without needing freezing temperatures (or fossil fuels). Elsewhere, dealing with climate change means “weather-proofing” ski areas. Last year, Whistler, BC, announced a $345-million dollar plan to make their operations “weather independent,” launching something called the “renaissance project” that, among other things, includes plans for a range of indoor, non-skiing activities in preparation for seasons when winter doesn’t cooperate. Other places, primarily in Europe and Australia, are trying out “dry-slope” skiing, using plastic and other materials to make slopes that don’t require snow to slide. And farther south, in 2009, Bolivia’s only ski resort, Chacaltaya, shut down. Located on an 18,000-year-old glacier, it was the world’s highest ski area, now described by a BBC writer as looking like “an abandoned film set.” In the nearby capital of La Paz, where nearly a third of the town’s water comes from glacial melt where Chacaltaya once lay, a serious water crisis is only getting worse. It’s a frightening prospect when you remember that even in rainy Vancouver, much of our water supply is fed by the accumulation of winter snowpack. After the atrocious 2014–15 ski season, the city spent much of the summer in a serious drought, with water restriction last seen over a decade earlier. Now, sure, I’ll be the first to admit I’m obsessed with snow. Looking out the window while I write this, I see leaves changing colour, temperatures dropping and days getting shorter. Later this afternoon, I’ll stare at weather forecasts and try to guess the first day I can trudge up to the snow-line to get some turns in. But I’m also filled with anxiety, because I know that last season, Snow Valley had one of its shortest years open. Places beloved by millions of us internationally are disappearing. Winter may still be coming, but it’s more erratic than ever.